Nothing brings the fine summer weather in like an indulgent ice cream, enjoyed with a crackin’ cone. Now, this might all sound like a sugary, fatty IBS hell but WORRY NO MORE. You can make this a healthy treat, and eat to your heart’s content! I previously made a healthy ice-cream out of frozen bananas and raw ingredients (check out the recipe here! ), but what’s an ice-cream without a cone? Sometimes eating out of a bowl is just plain wrong – try out this healthy ice cream cone recipe, made with gorgeous raw rolled oats, dates and a little water. So amazing you’ll be rushing through the ice-cream to get to the good bit! Love nuts? Simply roll the cone in chopped walnuts when the mixture is prepped on the mould and is still sticky! Mix all ingredients in a food processor. The dates should make the mixture sticky enough to form a ball. If it’s still dry, add a little more water and keep mixing. Divide the dough into 4 balls and roll out thinly on parchment paper. 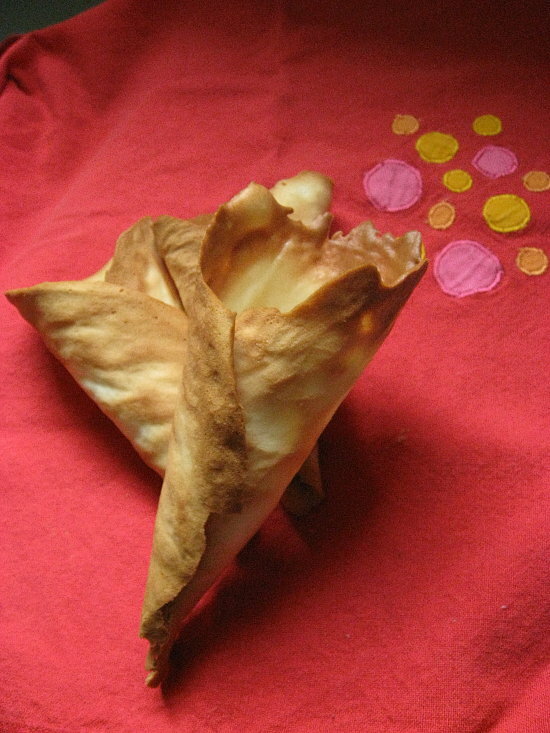 Cut the dough using a large cookie cutter and wrap the dough around a cone-shaped mould (you can make one your own using sturdy paper). Leave the dough on the mould in the fridge overnight. In the morning, take them off the mould (it shouldn’t be too sticky now). If it doesn’t want to come off, leave the mould on but make sure the mould is overproof. Bake for 3 hours on 160c, turning over halfway through. If the cones aren’t looking browned yet, turn up the temp slightly. You want a final oat cone which is crunchy and holds its own. Leave to properly cool so that the ice-cream doesn’t melt into it. I pop them in the freezer for about an hour so that they definitely set. Now you can dollop in your tasty banana ice-cream and enjoy!